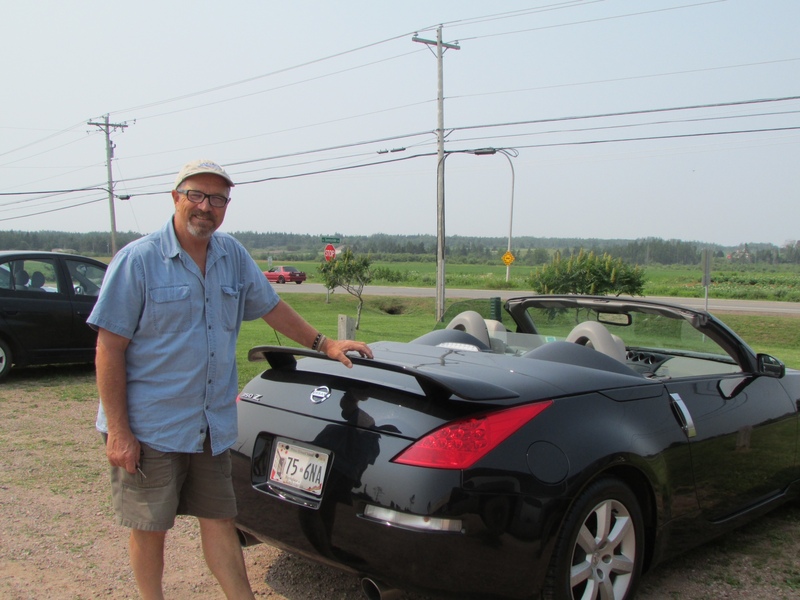 We decided to use a more modern form of transportation for our tour of the North Cape Coastal Drive. Dennis rented a car for Saturday and Sunday but unfortunately, the one that was held for us, wasn’t available (I guess the car company knows how to take the reservation but does not know how to keep the reservation which is really the most important part (Seinfeld) :). Anyway, for ten dollars more, this is what we got! 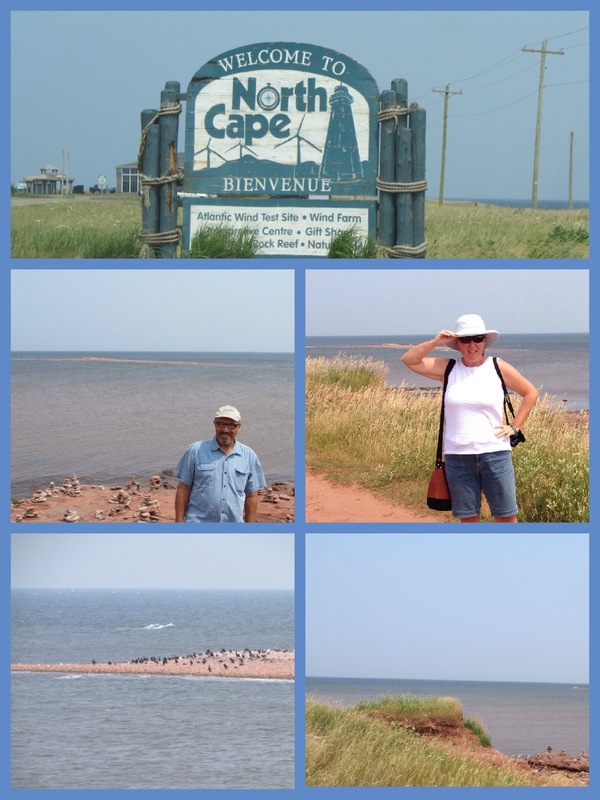 So, off we went on our tour of western PEI. Our first stop was in Richmond. 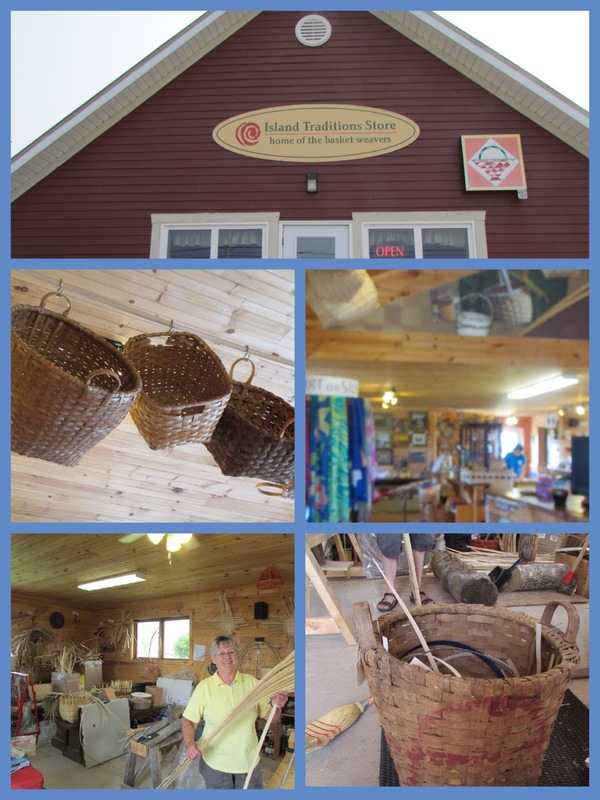 We stopped at the Island Tradition Store – home of the basket weavers. Inside their store, they have beautiful handmade baskets made from reeds imported from Carolina and ash that was grown on the island. There were all sorts of different sized baskets, each one more beautiful than than next. What really interested me though, was that they offer workshops. The workshops vary in price and time but if you see the second picture below of the baskets hanging, that is what I want to make – a potato basket. The workshop will take all day and you can either made your basket out of the reed ($140 I think) or ash for $200. That’s what I want to do. Ann, the lady in the yellow top does the workshops in the summer or winter. If you want to take the class in the winter, she’ll do it at her house as they close up the store at the end of October. The final picture in the collage is of a codfish basket that is over 70 years old. Ann had repaired it for a man who sold it to her for $45. Pretty amazing work here, I’d say! The next stop was North Cape and that is the most western point of the island. 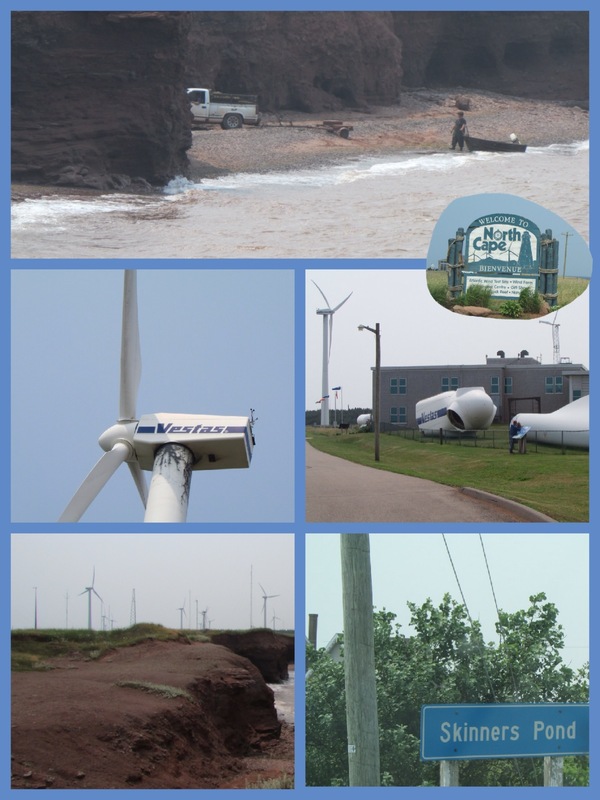 There is an interpretive centre, restaurant, gift shop and many wind generators making power for the island. It is a good place to have the windmills as it must be windy there all the time – it certainly was when we were there! This is worthwhile stop on the tour. To explain the pictures below, we watched some guys pulling their boat out of the water at the cliffs – it looked pretty difficult especially because of the ferocious wind and waves. I also wanted to show you big the windmills really are and if you look closely at the picture of the windmill on the ground, you’ll see two people standing in front of it. The final picture is Skinners Pond – where Stompin’ Tom Connors was born. After we stopped for a late lunch, we came upon a very strange sight. 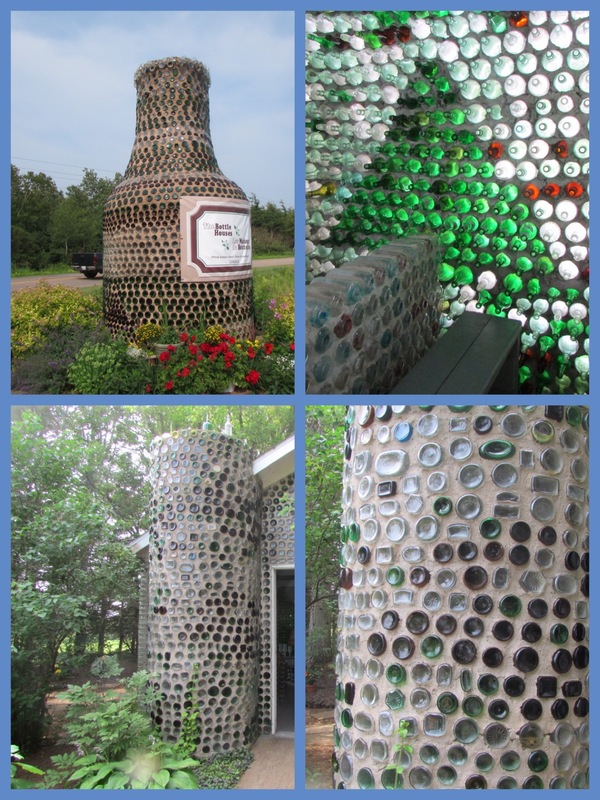 It seemed to be a giant bottle made of cement and bottles so we stopped and went in. It turns out that this is the very famous Bottle Houses – where Edouard Arsenault of Cap-Egmont made three houses out of glass bottles. Very, very cool! If you want to read about the history, click on this link. 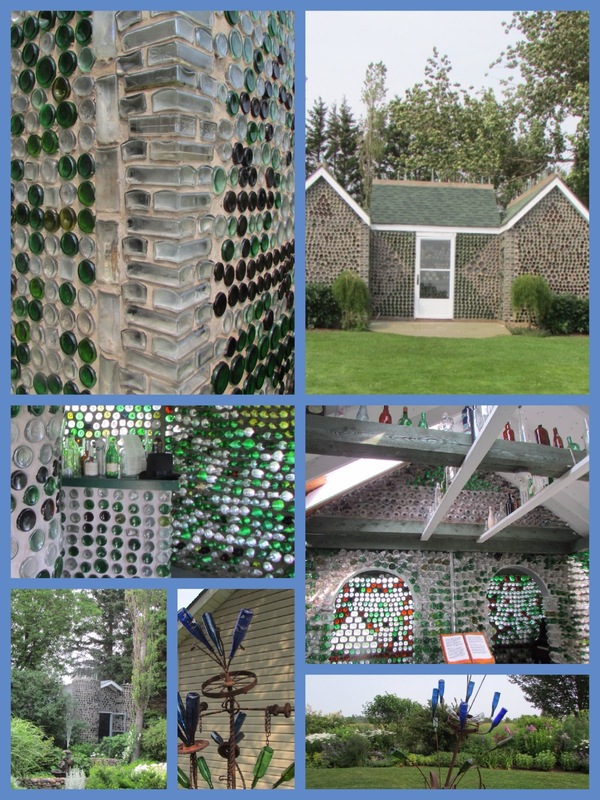 There are three buildings, each consisting of at least 10,000 bottles – one is a chapel, the other a six gabled house and the other is a little tavern. The buildings are surrounded by beautiful gardens and you could spend the entire afternoon there as it was so peaceful and interesting. The pictures below will give you a sample of what it was like but if you are ever in the area, this is definite place to stop! So, that is all the news for today. More touring around in the sports car tomorrow and then, sadly, we have to return it. Oh well, it was lots of fun!